The rife use of aesthetic appliance in orthodontic treatment requires the study of the properties of the materials they are made of. 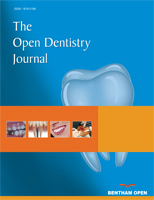 The aim of the present study was to evaluate the dimensional stability of clear aligners made of three different materials after the application of in-vivo dynamic stress and in-vitro static stress. Three different aligners made of different materials (PET-G; PET; SmartTrack®), prepared on the dental arch of the same patient, were tested. For each material, three aligner samples were manufactured: one to be used in-vivo, one to be tested in-vitro, and one to be used as a control. To evaluate the effects of the dynamic stress produced in-vivo, each aligner was worn by a single patient 22 hours per day, followed by a wash-out period of two weeks. To evaluate the effects of static stress, each aligner was exposed to the in-vitro continuous force of 50N. The tested and control aligners were scanned, then linear measurements were taken to evaluate their dimensional stability after different types of stresses. PET seems to have the lowest percentage of deformation; PET-G and SmartTrack® showed a reduced deformation going from the posterior to the anterior area. The contact with human saliva induces a greater deformation. Different materials show different behavior following application of static stresses and dynamic stresses in the oral cavity. PET showed the highest dimensional stability. Keywords: Aligners, Stress-strain, PET, PET-G, SmartTrack®, Polycarbonate (PC), Malocclusion. © 2019 Ciavarella et al.